Your home is a refuge for you and your family. Once that security is threatened by a home invasion, it can take time to restore that safe feeling. The Florida Department of Law Enforcement (FDLE), reports that 138,669 burglaries occurred in Florida during 2013 resulting in a property loss of $1,200,941,070. Before you rig your home to look like something from the movie, “Home Alone” by stringing pots and pans near the entry ways or placing tacks and marbles on the floor, there are some more efficient solutions you can take. “For a little amount of money and time, homeowners can take some simple steps to protect their homes from a break-in,” said Ellsworth Buck, Vice President of GreatFlorida Insurance. Most intruders will spend no longer than sixty seconds trying to gain entrance into your home. The Florida Police Chiefs Association has tips for safeguarding your home and making it less vulnerable to burglars. Place a broomstick or dowel inside the track of your sliding glass door to prevent the door from being lifted off the track. Give an extra key to a trusted neighbor instead of hiding it outdoors. Install a peephole so you can see who is at the door, chain locks are easy to break. Light it up- keep the outside of your home sufficiently lit and consider installing motion sensor lights. You can purchase a sound-detecting socket that plugs into a light fixture and makes the light flash when it detects certain noises. Clean up-keep your bushes and shrubbery trimmed and pruned so they do not hide windows and doors. Trim limbs that a thief (or you kid) could use to gain access into a second story window. When traveling- place a hold on your mail, set a timer for your lights and keep your blinds and curtains in a normal position and let your neighbors know you are away so they can keep a watch for unusual activity around your home. Install Impact Resistant Windows and Doors. Check with local law enforcement about engraving your valuables through Operation Identification or for a free home security survey. A security alarm is a solid investment if you have many valuables, live in an area with a history of break-ins, or you are located in an isolated area. GreatFlorida Insurance offers homeowners and renters insurance to safeguard your belongings from theft. 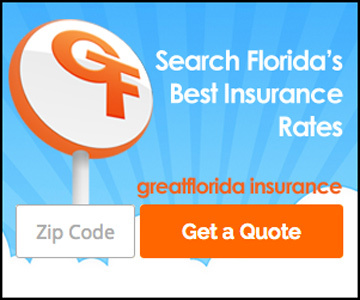 Call 888-478-7801 to speak to an agent or go online and complete a free quote request form, www.greatflorida.com. Our agents will find the right coverage you need to fit your budget.